“Growth,” a group show at the Shanghai-based gallery Art Labor is an ARTFORUM Critics’ Pick. The exhibition features an installation by Monika Lin (AP ‘17). 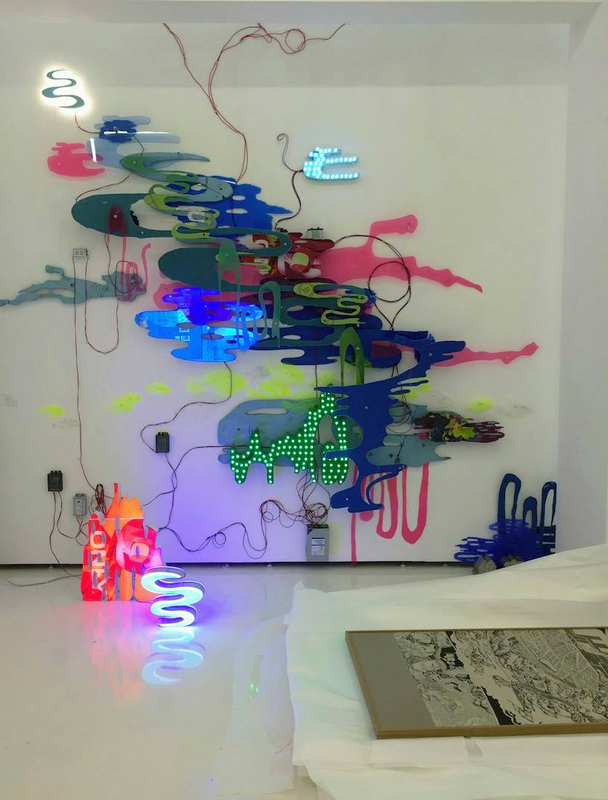 Todd Meyers writes, “Monika Lin’s installation River of Plastic, 2015–18, uses inorganic materials to show the emergence of a new ecology of waste and also serves as the thematic anchor of the exhibition. In this work, a gallery wall becomes a panorama of glowing Styrofoam, acrylic, vinyl, and Tyvek––construction scraps and the plastic surplus of China’s most populous city.” The show runs through October 10. Monika Lin (AP '17) has four solar-powered interactive sculptures installed at the Qin'huai River International Light and Shadow Art Exhibition. "The artist’s most recent exhibition in New York returns to the question that has always haunted her work – Where are the women in mythology?" This week, the MFA Art Practice class of 2017 presents their thesis projects in spaces throughout New York. Monika Lin (MFA AP17) is exhibiting in Community Hospital, a group show featuring the work of 20 international artists in a former Chinese medical clinic space situated in a previous-era colonial house. The exhibition looks at issues where art raises awareness, provides catharsis or has other uses. Check out this link for more info.